11 Simple Tips To Keep Long Hair From Getting Tangled! There are many advantages to having long (and hopefully thick too!) hair - awesome hairstyles to experiment with, for one thing. But the biggest problem? You’re probably constantly worrying about how to keep long hair from getting tangled! And this is even truer if your hair is not super straight - if you have long hair that is wavy, curly or generally thick, then your life is probably a knot of worries about knots! But worry no more, ladies, for we bring you 11 absolutely awesome tips to keep your hair from getting tangled, no matter what its texture. Once you’ve read through these really simple tips, detangling your long locks (and keeping them tangle-free) will be a complete breeze! Yes, that’s right. 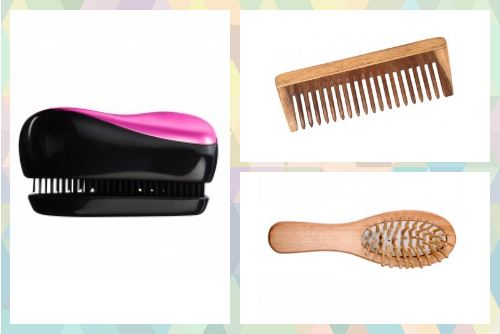 A good old-fashioned champi can actually help you keep your hair free of tangles. A well-oiled scalp means better nourished and hydrated hair that’s smoother and less frizzy, which means your strands don’t get tangled up and knotty. Pro tip: Massage your scalp once a week with either olive or coconut oil to be relatively tangle-free. You can also oil once a fortnight or so - but then leave the oil in overnight for some deep nourishing. You know all those shampoo ads where people have their hair all scrunched up as they work the shampoo in? Totally the wrong way to go about it! Your hair needs to be cleansed at the roots - shampooing the length means you’re stripping your strands of moisture. Which, in turn, leads to drier, frizzier hair that tangles more easily. Pro tip: Massage the shampoo only into your scalp without piling all your hair up on top of your head to lather up till the ends - do what they do in the parlour. When you rinse, the shampoo washes down the lengths and does enough to cleanse your strands. 3. Don't skip the conditioner Once you’ve cleansed your roots, you absolutely need to condition so that you’re rehydrating the length to keep frizz and dryness at bay. Smoother, softer hair is always easier to comb and less prone to tangling. Pro tip: Comb as you condition! 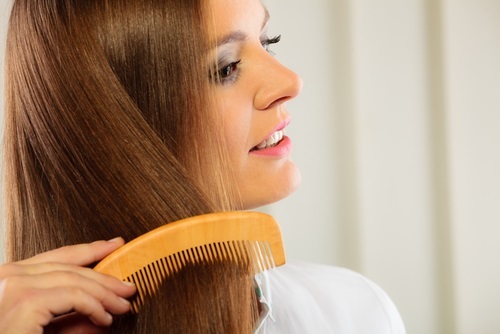 Using a wide-tooth comb to separate your strands while the product is still in your hair, making it more manageable. Then, when you wash the conditioner off, your hair will automatically set with less tangles. As soothing and amazing as a warm water wash feels, it’s actually seriously bad for your hair because it relaxes your cuticles a bit too much, making it more likely for them to be pulled out by the roots when you’re washing. 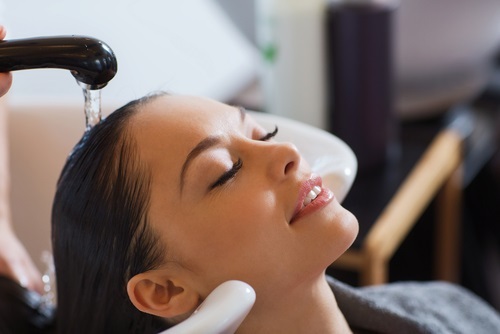 Additionally, hot water also washes off your scalp’s natural oils more thoroughly, leading to drier, frizzier hair. Cool water rinses actually help because the coldness of the water seals your cuticles and does not strip your strands of essential oils. Pro tip: Wash with lukewarm water if you must (yes, we know, cold water isn’t the most comfortable thing, especially in winter). But then, after you’ve conditioned and just before you step out of the shower, flip your hair upside down and just hold your head under the tap for a cold-water blast to quickly seal up your cuticles before you start drying or combing. This seriously helps cut down on frizz and knots. If you’re blow-drying, be kind to your strands and use the cold setting on your dryer, pretty please. And if you’re air-drying, be sure to comb out as many tangles as you can while your hair is still wet. Never, ever put your hair up in a ‘turban’ with your towel - remember what we said about scrunching being really bad? Pro tip: Practice ‘plopping’ to dry your hair in the most efficient way without having to blow-dry it fully. Lay a microfibre cloth on a flat surface (or even an old cotton T-shirt), and then basically bend over and lay your hair flat on the centre of the fabric. Then take the outer edges of the cloth/ T-shirt and fold it inwards and drape it all over your head. Tie up the ends of the cloth to create your very own super-absorbent ‘drying hat’. Leave this on for about half an hour for the fabric to soak up all the extra water from your hair. This is especially useful for girls with curly hair. Also read: How To Make Your Hair Less Oily – 8 Super Tips! The tendency for most ladies with long hair tends to be to bundle it all up into a bun halfway through the day - you just reach back, grab it all, and twist into a knot secured by a hair-tie. Bad idea! You’re just getting it all knotty. Instead, hold your hair properly, from the base of your head to the ends, twist along the length so that you have it all together like a rope, and then put it up in a bun. Pro tip: Use a hair tie with a cloth covering rather than one that’s just elastic - whether you’re making a pony or braiding or just bunning it, this keeps your hair safe from getting caught in the elastic and tangling or breaking. When you sleep, you twist and turn, and so does your long mane with you! Result? Kinks and knots all along that length you love. Always pull your hair back into a loose braid before you hit the sack. Be careful, though: too tight, or you’re pulling at the roots all night long. Just plait it loosely and secure the ends with a cloth-covered hair tie. Pro tip: Use silk or satin pillowcases. They might be more expensive, but they provide far less friction for your strands and keeps them from developing kinks and knots. Also, never, ever go to bed with wet hair - make sure your hair is at least 70% dry before you expose it to friction from rubbing against your pillow. 8. Combing is way better than brushing! Yes, brushing your hair feels easier when it comes to styling it, since you can do the upper layer quickly plus give your hair volume. But here’s the thing: that’s just taking care of the outer bits of your hair, without dealing with the tangles and knots spread through the full volume of it. Use a wide-tooth comb to diligently get rid of ALL the knots at one go, before you go on to styling it. The extra time spent is worth it given how smooth and tangle-free your hair will feel all day. Pro tip: Comb from the ends up to make sure you get rid of the tangles all along the length, and make your way up to the roots. If you comb from the top down, you’re doing your hair a disservice by kind of pushing the kinks and bends down the length, making your strands get knotty lower down, rather than genuinely freeing them of tangles. 9. Balance styling products with hair masks! Styling products are fairly essential for most girls, but remember that they’re loaded with chemicals that damage and dehydrate your hair. Use a deep-conditioning mask (preferably one enriched with argan oil) to rehydrate your hair at least a couple of times a month to keep your hair soft and healthy. Softer, well-nourished hair is always less likely to get frizzy and tangled. Pro tip: Before you set out to style your hair, use a hair serum to protect your hair against heat and product damage. 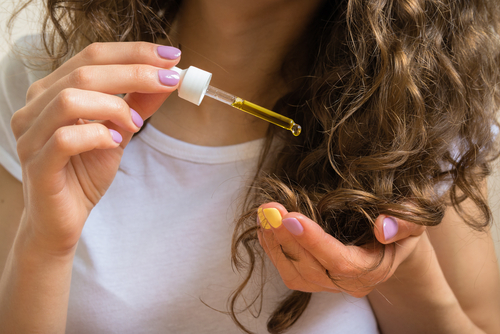 Alternatively, you can just take a few drops of argan oil on your fingertips and run your finger down your strands from the top down to the ends in give it some extra shine, as well as a last-minute detangling finger-combing! 10. 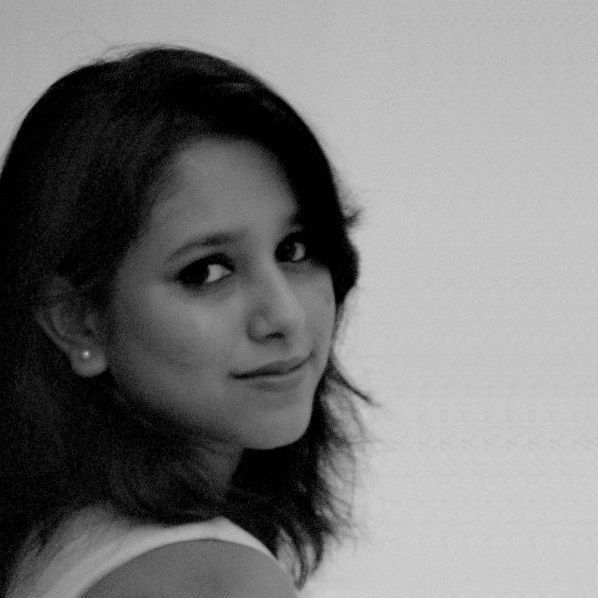 Avoid split-ends at all costs! This is super-important. Get regular trims to get rid of those split-ends so that the splits don’t creep up the length of your strands. Although deep-conditioning your hair and taking care of it in general should help you also avoid splits, keep an eye out for any that crop up. As the strands split and break, they frizz and kink up to tangle more with your healthy strands. Pro tip: When you’re getting your regular trims (you should get at least one every three months to promote hair growth), get the stylist to also even out choppy layers that may have grown out since you got your hair cut in a particular style. Evening out uneven lengths and having all your ends sharpened help keep those tangles at bay. Also read: 11 Genius Styling Tricks EVERY Girl With Long Hair Should Know!